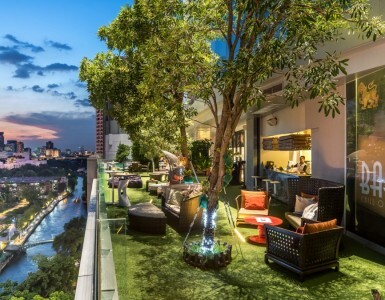 When it comes to the best value for money buffet promotion in Bangkok, Novotel Bangkok Platinum Pratunam has the perfect answer with The Square on the 6th Floor! Offering a dining experience to delight all guests is at the heart of each buffet promotion at The Square. 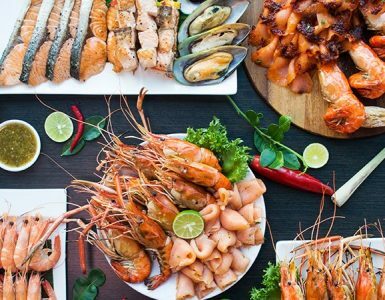 Presenting Seafood Paradise Dinner Buffet: Every Sunday – Thursday, it’s still all about quality seafood, with the best of the sea selected for you. Make your dinner special as you smell your favourites sizzling on the grill and enjoy NZ mussels, seafood skewers, squid, prawns and more! 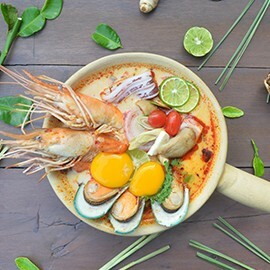 Heat up your night with spicy Thai salads or the popular seafood tom yum corner! 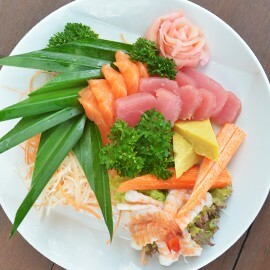 Sushi and sashimi, made to order pizza & pasta and more international dishes and delectable desserts await! Hotel guests can start the day with an impressive international breakfast buffet spread that spans Asian morning staples like rice congee, stir-fried vegetables and noodle soup dishes, to Western favourites such as sausages, a cereal bar, pancakes and freshly-baked baked goods and pastries with a variety of cheeses and condiments. Guests can order off the eggs menu the way they prefer, or skip straight to the sliced fresh fruit. Healthy Halal offerings are also available, further showing that there is something for every taste at The Square. The best buffet promotion in Bangkok continues during the lunch hours, with Monday to Saturday’s selection focused on a fashionable, best of “East meets West” concept for hungry office workers and shoppers looking to recharge and enjoy their meal. 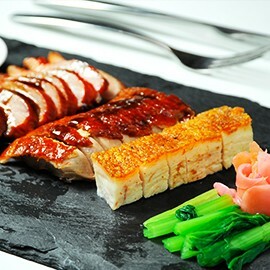 Signature to The SQUARE experience is the Chinese trio of delicacies: Crispy pork belly, BBQ pork and roast duck. Oven-fresh pizza, pasta and grilled meats made to order, as well as smoked and poached salmon are other western favorites. A focus on tapas-sized bites means guests can try their way through the salad and appetizer selection, or feel the spice of the many Thai salads and snacks on offer.Keep some room for dessert though, where you will be spoiled for choice with Asian sweets and home-made mousses, ice cream and cakes decorated to exquisite perfection. 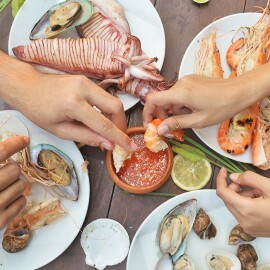 The Sunday brunch brings a sumptuous selection of the best seafood buffet in Bangkok, with fresh and plump NZ mussels, oysters, prawns, crab and more available either on ice, made to your order at the grill station or deliciously integrated within the Asian and international dishes on offer. Furthermore, for dinner every Friday- Saturday, experience the best premium seafood buffet you’ve ever had and many more dishes at The SQUARE. The value doesn’t just stop at the food, with a special private room and corner for children to play and a comfortable outdoor seating area available at The SQUARE Restaurant. There’s no need to continue the search for the best buffet promotion in Bangkok when you’re at The SQUARE restaurant of Novotel Bangkok Platinum Pratunam! Use public transportation to reach us. BTS Skytrain stations Siam or Chidlom are both about a 10 minutes walk away from the hotel, and the R Walk (Bangkok Skyline) is right in front. If you’re coming with a personal car, free underground parking is available under the hotel. Free wifi even makes posting those perfect buffet selfies a breeze.